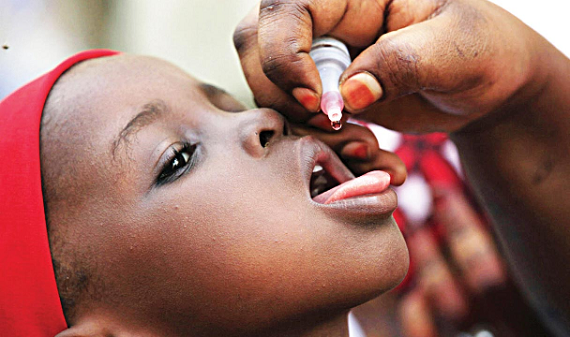 The recent announcement by the World Health Organisation (WHO) that Nigeria may be declared polio free by the end of August, if no new case of the condition is reported, is exceedingly cheering. Aside from the potentially gratifying effect of such a declaration on the nation, the long-awaited relief from the colossal loss and damage that the country has incurred over the years from the virus onslaught will be one to cherish for long. Much more importantly, however the announcement is a clarion call to all stakeholders in the fight against polio in the nation to proactively watch out for and decisively deal with peculiar challenges that have consistently prevented Nigeria from successfully eradicating the disease after similar efforts in the past. A Nigerian child receiving immunisation. As it stands, Nigeria currently takes rank with Pakistan and Afghanistan as the remaining countries having endemic polio cases, based on data from the Global Polio Eradication Initiative (GPEI). India exited the ignoble list when it eradicated polio in February 2011. 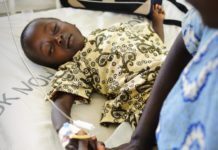 Rather unsavorily, among the three countries still battling polio, Nigeria was recorded as having the highest incidence of the wild poliovirus (WPV) strain. It is for these reasons that the announcement by the WHO Coordinator in Cross River, Dr Thompson Igbu, while speaking at a recent workshop on integrated disease surveillance and response in Calabar, that Nigeria was close to winning the war against poliomyelitis should be a major catalyst for Nigeria to strengthen and sustain its polio surveillance system. This will not only help to achieve the ultimate goal of polio eradication but also to maintain it in the long term. It must be recalled that it took the nation this long to be at the cusp of polio eradication because of challenges like widespread skepticism of the safety of polio vaccines, religious concerns, cultural resistance, conspiracy theories, financial obstacles, lack of political will, insecurity and logistical drawbacks. While it is noteworthy that Nigeria has had to navigate through these challenges to get to this point, it must be emphasised that these challenges have not been completely overcome. The task before the Nigerian nation therefore is to consistently strengthen its polio eradication campaign planning, social mobilisation, enlightenment campaign communication, polio reporting system, accountability at all levels, as well as ensuring access to immunisation to trapped populations in troubled areas. It is heartwarming that the WHO coordinator commended Nigeria for having a very strong polio reporting system and for not having a new polio case recorded since August 2016. This key strength must be maintained as it is important for tracking the disease in the country. Information is key to any intervention action. The condition of the nation’s borders is also a critical factor to consider if Nigeria must succeed in the quest to be rid of polio for good. With the present system at the borders, there is still a great risk of setback in the quest, since these entry points are notoriously porous. It only takes just one new virus case to cross the border for a fresh outbreak of the condition in the country. This is why efforts must be made to prevent this. It is also necessary to state that the same template that has served Nigeria well in the current polio eradication drive needs to be adapted in taming other vaccine-preventable diseases in the country. These include measles, hepatitis B, pneumonia and tetanus. Our routine immunisation strategy for these conditions should therefore be adjusted accordingly to achieve success. We must not fail to commend our development partners for the goodwill that Nigeria has enjoyed on its onerous journey to polio eradication. The success recorded by the country so far in the quest has been significantly boosted by the tremendous support the nation has received over the years from the Global Polio Eradication Initiative(GPEI), WHO, the Centre for Disease Control (CDC), the Bill & Melinda Gates Foundation and other global development partners. We believe that the best way to appreciate these partners and justify their support is to ensure that the current war against polio is decisively and permanently won. Next articleSymptoms that could occur due to promethazine overdose include?